Andrew Metcalfe, AO has been the Chair of the NYSF since mid-2016, following 19 months as Deputy Chair. Andrew has enjoyed a distinguished career in the Australian Public Service spanning more than 30 years. Positions he has held include; Secretary (CEO) of Australia's Director of Animal and Plant Quarantine (Department of Agriculture), Secretary of the Department of Immigration, Deputy Secretary of the Department of the Prime Minister and Cabinet, and Chief of Staff to a Cabinet Minister. 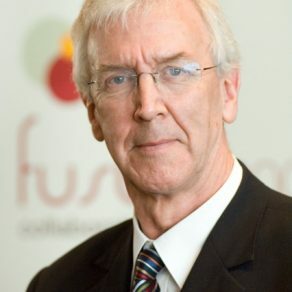 Andrew is highly respected across industry, having made a broad and significant contribution as a public sector leader and having been a member of a range of boards and councils. In 2016, Andrew joined EY (Ernst & Young) as a Partner. During her time in Parliament in both Government and Opposition, Kate held several front bench portfolios, including IT, Innovation, Digital Economy, Manufacturing, Sport and Multicultural Affairs. Kate now holds a number of company directorships including the Cyber Security Research Centre, Electro Optic Systems, the National Roads and Motoring Association, the Australian Sports Technology Network , the Australian Grand Prix Corporation and her own consulting company, Technology Innovation Partners Pty Ltd. Kate is currently the ACT Defence Industry Advocate with a regional strategic focus on Space related technologies, cyber, simulation, systems integration, services and skills development. 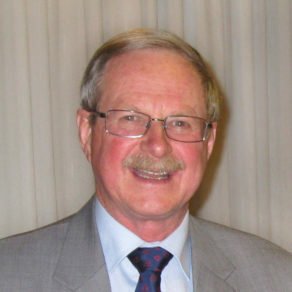 Dr Geoff Garrett, AO joined the NYSF Board in August 2017. A STEM enthusiast, Geoff is a Cambridge educated metallurgist, and 13 years an academic, Geoff was Queensland Chief Scientist for the previous six years. Prior to this he led, as Chief Executive, two of the world's major national science agencies, the CSIRO in Australia (2001 to 2008) and CSIR in South Africa (1995 to 2000). 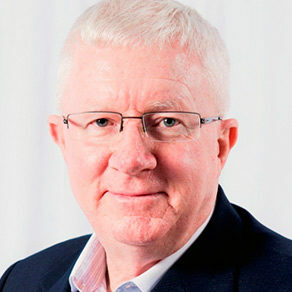 Geoff Garrett is a Fellow of the Australian Academy of Technology and Engineering (ATSE), the Royal Society of South Africa and the Australian Institute of Company Directors, and served on the Prime Minister’s Science, Engineering and Innovation Council in Australia for eight years. Loren Atkins is an Alumna of the NYSF program, attending in 2005. She returned to the program through the Student Staff Leadership Program (SSLP) to work as student staff and then as the Chief of Staff. 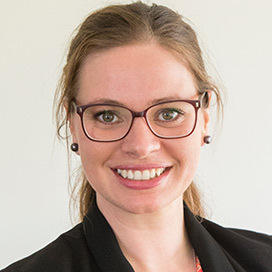 Loren completed a double degree at the University of Tasmania where she earned a Bachelor of Law (Hons) and a Bachelor of Science in Geography and Environmental Science. 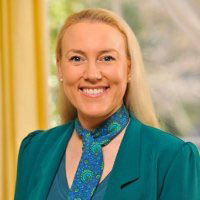 Loren started out working as a lawyer in Melbourne, and then moved on to work as an Environmental Lawyer for the Yap State Environmental Protection Agency in Micronesia. Loren currently works as an Associate Counsel for the World Bank, based in Sydney. Loren joined the NYSF Board in July 2016 as an alumni representative. James Palmer holds a Bachelor of Science (Hons) in Management Sciences which he earned at Manchester University. He was a Partner at Ernst & Young for more than 20 years, from 2005-2015. 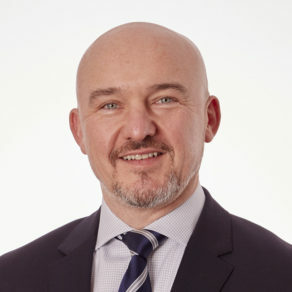 James is a Fellow of the Institute of Chartered Accountants in Australia (ICAANZ) and in England and Wales (ICAEW), and is also a Registered Company Auditor. Most recently James has taken on the CFO position with Seeing Machines and feels passionate about making a positive difference for his clients, the teams he works in and for society. James joined the NYSF Board in September 2015. 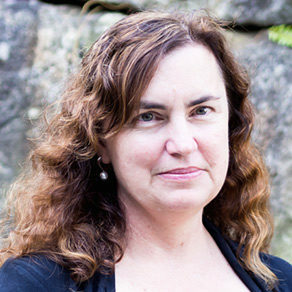 Renée Kidson is an Alumna of the International Science School (University of Sydney: 1991) and the NYSF, completing the program in 1992. She holds four degrees, including a Master of Military and Defence Studies with The Australian National University and a Doctorate from Trinity College, University of Cambridge. 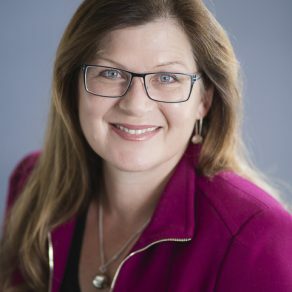 Renée is currently the Director of Statistics at the Bureau of Infrastructure, Transport & Regional Economics for the Commonwealth Government and is an Associate Professor (Adjunct) at the University of California, Santa Cruz. In addition to this, Renée is a long-standing Australian Army Officer (rank of Major), with operational deployment experience. She continues to serve part-time. Renée has been a member of the NYSF Board since late 2015. Rob Woolley started his career in automotive engineering working as a motor mechanic and auto-electrician and soon progressed into a range of management roles for his local council and later for the Government. Rob holds an Associate Diploma in Mechanical Engineering and a Graduate Certificate in Public Sector Management. In 2000, Rob founded his own fleet management company, operating across Sydney, Canberra and regional NSW. Since retiring in 2008, Rob has held several leadership roles with Rotary, including Governor for District 9710, and has been the Rotary Liaison Officer on the NYSF Board since 2013. Rowley Tompsett first trained and served as a science teacher. He went on to manage swimming pools, consult with the AMP Society, and joined the voluntary sector as the Executive Director of the Royal Life Saving Society, followed by an appointment as the Administration Officer for the Scout Association. From 1986 to his retirement in 2011, Rowley served in the Royal Australian Air Force where he worked in administration, policy and governance. Throughout his life, Rowley has been actively engaged with a number of community and sporting organisations, serving on boards, councils and more. Rowley joined Rotary in 2006. He has been Club President, Assistant Governor, held various District appointments, and was the Governor for District 9710 in 2014–15. In 2014, he was elected as a Director of ShelterBox Australia and then became its Chairman in July 2015. Sally-Ann Poulsen is an Alumna of the NYSF, having attended the program in 1986. She is now a Professor at the Griffith Institute for Drug Discovery (GRIDD), Griffith University, Queensland. Sally-Ann earned her PhD in medicinal chemistry in 1996, also at Griffith University. Following her PhD, Sally-Ann held a postdoctoral research position at Astra Pharmaceuticals Charnwood Medicinal Chemistry Department (now AstraZeneca). She was awarded a Royal Society and National Health and Medical Research Council (NHMRC) Howard Florey Research Fellowship to undertake independent research at the University of Cambridge in the UK from 1998 to 2001. Back in Australia, she was awarded an Australian Research Council (ARC) QEII Fellowship (one of only ten awarded nationally) and subsequently an ARC Future Fellowship, both taken up at Griffith University. Sally-Ann is internationally recognised as a leader in her field. Dr Damien Pearce is passionate about excellence in education. He holds a Doctor of Education from the University of Southern Queensland, a Master of Educational Leadership from the University of Canberra (UC) and a Graduate Diploma of Tertiary Teaching and Learning from the Canberra Institute of Technology (CIT). Damien has been recognised as a Fulbright Scholar and is an active member of the Australian College of Educators (ACE) and the Australian Vocational Education and Training Research Association (AVETRA). Damien’s previous educational leadership positions have included employment as the Education Director at the Australian Federal Police (AFP) College, a teacher within science and technology at Canberra Institute of Technology (CIT) and Associate Director of the NYSF. 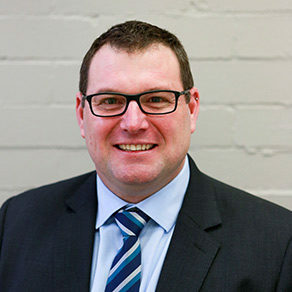 Damien was appointed as the Chief Executive Officer of the NYSF in August 2013. Sir Peter Cosgrove AK MC is a graduate of the Royal Military College of Duntroon and fought in Vietnam, receiving the Military Cross in 1971. Sir Peter has held a number of leadership positions throughout his career with the Military. It was in 1999, when Sir Peter led the international forces (INTERFET) in a peacekeeping mission in East Timor as Major General, that he rose to national fame. Sir Peter Cosgrove was Australia's Chief of Army from 2000 to 2002, and Chief of the Defence Force from 2002 to 2005. 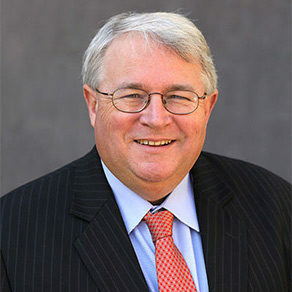 After retiring from this position in 2005, he became the leader of a taskforce helping to rebuild communities in Queensland following the devastation of Cyclone Larry in 2006. Sir Peter was appointed as the Governor-General of Australia in March 2014. 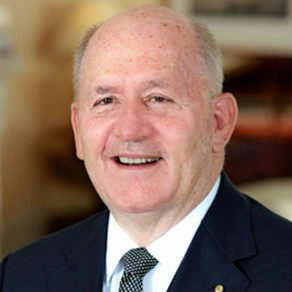 Sir Peter Cosgrove has been Patron of the NYSF since 2014. Professor Tanya Monro attended the NYSF (then known as the National Science Summer School (NSSS)) in 1990. She is now an award-winning Australian Physicist, known internationally for her work in photonics. Professor Monro is currently the Vice President and Deputy Vice-Chancellor of Research and Innovation at the University of South Australia. She is also an Australian Research Council (ARC) Georgina Sweet Laureate Fellow. Professor Monro is a Fellow of a number of professional associations including the Australian Academy of Science (AAS), the Australian Academy of Technological Sciences and Engineering (ATSE) and the Australian Institute of Physics. 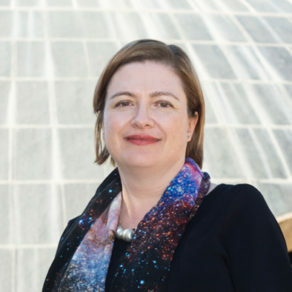 She is also a member of the Prime Minister’s Commonwealth Science Council (CSC), the Commonwealth Scientific and Industrial Research Organisation (CSIRO), the AAS National Committee for Physics and the South Australian Economic Development Board. Before becoming the Science Patron to the NYSF, Tanya was Chair of the Board from 2014 to 2016. Or make a donation by clicking below. All donations go directly to supporting NYSF programs for young Australians. Donations made to the NYSF have Tax Deductible Gift Recipient status. How do I apply for the NYSF Year 12 Program? How do I apply for an NYSF Year 12 Program Equity Scholarship?